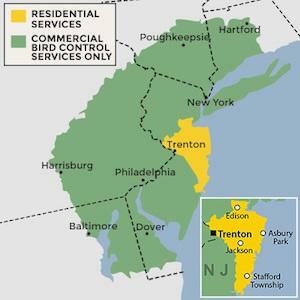 Cowleys Pest Services is a full-service residential, commercial and industrial nuisance wildlife control company serving Mercer, Ocean, Monmouth, Middlesex County in New Jersey. We are fully insured and licensed by the DEP with an experienced team of licensed wildlife removal specialists. We use only the most up-to-date techniques in humane wildlife control. We safely return wildlife where they belong -- back in the wild and away from your home. We are part of Cowleys Pest Services, a family-owned company known for our superior results and outstanding customer service in pest control in New Jersey. If there's an animal inside your home that you need removed immediately, Cowleys Pest Services can help. Whether it's a raccoon, squirrel, snake, or bat, we're equipped to handle your emergency wildlife removal problem 24/7. Just call and we'll be there as soon as we can! Bats will return year after year to the same building. Learn how we can keep them from coming back. Field mice are carriers of disease-transmitting deer ticks. Protect your family with help from our experts. These rodents gnaw on wires, build nests in attics, and carry diseases. Learn more about our removal services. Raccoons can cause damage or nuisance problems around houses and buildings. Prevention is key. Cowleys Pest Services is one of the only wildlife control companies to offer full-service integrated pest management. Our proven six-step wildlife removal program gets rid of unwanted animals, repairs damage they caused, and animal-proofs your home or business. Your safety and the animal's safety are our top priority. Ask us about installing pest control insulation for added protection! "I didn't know who to call for the problem we were having (squirrels in our..."
I didn't know who to call for the problem we were having (squirrels in our attic). I saw one of your trucks in our area, checked out the company's website and decided to call you. "we were having a problem with mice and squirrels in our attic.. i saw your..."
"recommendation from another pest control company who did not do this work." recommendation from another pest control company who did not do this work. "THE WORK IS NOT COMPLETE; THEREFORE I CANNOT ANSWER ALL QUESTIONS YET." "Please note Jill, Matt and Rob were the most helpful and patient workers..."
"Tom, Will and Giovani were ALL excellent; they were courteous,..."
Tom, Will and Giovani were ALL excellent; they were courteous, professional. informative and efficient.Our critters were removed in a timely and profeesional manner. The experience could not have been any better. "I live in a condo in Edison, NJ. The property management company selected..."
"Tyrone was our tech and he was great. Very polite and courteous"
"I have been using Cowles for 10 years for pest control at this location..."
I have been using Cowles for 10 years for pest control at this location and at home. I also had used them for squirrel at the church. They did what was expected, quickly and neetly. "Everyone at Cowley's are true professionals. Very happy." Everyone at Cowley's are true professionals. Very happy. "2 years ago, you got rid of my squirrel infestation, but I guess the word..."
2 years ago, you got rid of my squirrel infestation, but I guess the word went out, and there are squirrels again. Last year you got rid of carpenter ants for me. For all of these problems, you were right on top of things. Hopefully, you'll work your magic again. Everyone involved in this latest infestation was great. The service rep was lovely, and the service man was super efficient and knowledgeable. Great working with you, but I hope I won't need you much longer. "Always satisfied with the service and a great job done by all. Would high..."
Always satisfied with the service and a great job done by all. Would high recommend this company. "Chris was friendly and very helpful!" Chris was friendly and very helpful! "We had squirrels in our attic and you came to the rescue! We also heard..."
We had squirrels in our attic and you came to the rescue! We also heard great things about your company! "You guys caught the raccoon and took her to a better place - while sealing..."
"I do have one concern. Only one mole was trapped before the traps were..."
"Techs Explained All Aspects Of Animal Removal And Attic Sanitization Thank..."
Techs Explained All Aspects Of Animal Removal And Attic Sanitization Thank You! "Used you at prior residence for racoon removal"
Protect your family & property from nuisance animals: get help today! 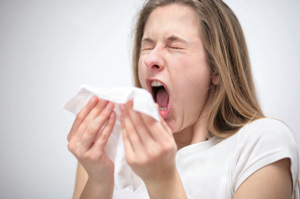 Have you noticed that your allergies have been acting up when you are at home? Pets, as well as household pests like cockroaches and rodents, might be to blame for increased asthma and allergy symptoms. In addition to transmitting diseases, raccoons and other critters can cause extensive property damage and create fire hazards. They destroy insulation, gnaw at wiring, clog vents, and leave behind droppings and spores that can contaminate your air. For animal infestations, you want fast, efficient, humane, wildlife control and removal, Cowleys Pest Services will give you back your home or business in no time! When it comes to wildlife control in New Jersey, we give you peace of mind by doing the job right the first time with our proven five-step pest management process. We have the equipment, skills, and know-how to safely remove nuisance animals that have invaded your home or business and then we’ll “animal-proof” your home or business to prevent repeat infestations. When wildlife becomes too close for comfort, call the experts at Cowleys Pest Services. We provide free removal estimates to residents throughout our Mercer, Ocean, Monmouth, Middlesex County service area. Check out the full range of pest control services offered by Cowleys. What is the Treatment for Exposure to Bats?